Your purchase of a home will be among the largest, most important purchases you will make in your life. There are a few things which cost as much and will affect your life as much. As a first time home buyer, therefore, it is important to have a feel for how the home buying process works, and what you should expect from your mortgage. Your mortgage is the loan you will use to buy your home. Mortgages are similar to other loans in that there is some amount borrowed; a rate of interest paid to the lender; and, a predetermined number of years over which the loan must be repaid. The focal point of a mortgage that makes it different from any other loan type is that a mortgage loan is specifically used for the purchase of real estate, also some mortgages can be customized to fit your needs. There are many kinds of loan programs available for today’s home buyers including low and zero down payment loans, loans for buyers of condominiums, and loans for members of the U.S. military. 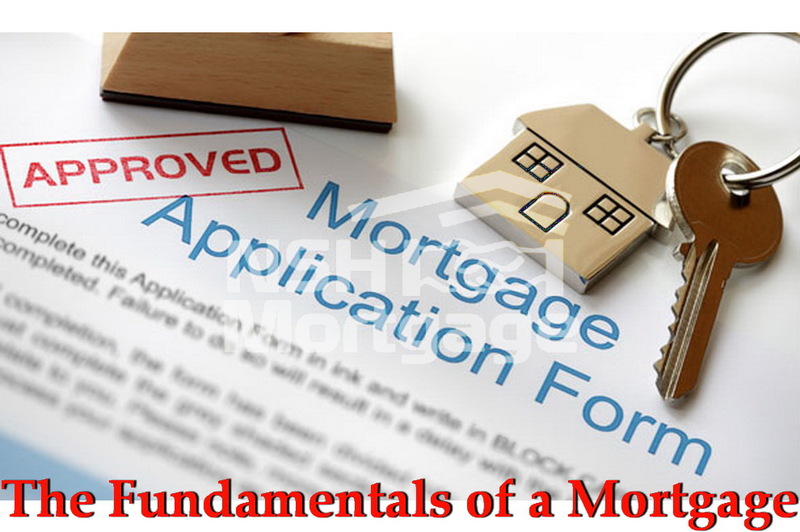 First Time Home Buyer’s Guide: The Fundamentals of a Mortgage. NSH Mortgage has the knowledge and tools to help you understand the basics of a mortgage. Buying a home is not cheap, no matter the price tag. A few first time home buyers have cash on hand to purchase a home outright and those that do have the cash often prefer to keep their cash money for other opportunities in their life. When you buy a home, then, it is likely that you will seek a loan from a bank. A loan used to buy real estate is known as a mortgage. With a mortgage, the home buyer borrows money from a lender. The money is then used to purchase a portion of the home and the remaining portion of the home purchase is paid by the buyer. Let us say that the home buyer bought a house for $300,000 and the mortgaged amount is $270,000, the buyer is responsible for bringing the remaining $30,000 to closing. This $30,000 is known as the down payment. The remaining amount is now mortgaged to the bank, with terms which are customizable between the bank and the borrower. Besides, just like every home buyer they can be different, just like how every mortgage can be different, too, so your loan terms are entirely up to you to decide. To qualify for a mortgage, you must meet the minimum standards of whichever loan type you determine is best for needs. There are tens of available loan types, but the four most common are all U.S. government backed. The four government backed loan types are the conventional mortgage, the VA mortgage, the FHA mortgage, and the USDA mortgage. Each of the loan types are different, with different qualification standards, the process in which to get mortgage qualified are similar among the four programs. First, you will need to meet a minimum credit score requirement. This requirement is lowest for FHA home loans; and, roughly equal among the remaining three programs. Next, you will be asked to verify your income using W-2s, pay stubs, and federal income tax returns. Your debts will be verified, too, using a recent copy of your credit report. If your credit report happens to include errors or omissions, which sometimes happens, you can provide documentation to your lender to correct such mistakes. Your lender will also want to verify your employment history and your savings. When you are buying a home, the amount of money you bring to closing is known as your down payment. You can think of your down payment as the part of the home purchase price that you are not borrowing from the bank. Depending on which loan program you choose to use, your minimum down payment may vary. Keep in mind these figures are just minimums. You can choose to make a larger down payment, if you want. When you make a larger down payment, your monthly payment is reduced because you are borrowing less money. And, if you use a conventional loan, which many home buyers do, larger down payments are linked to lower mortgage rates. Your mortgage interest rate is made in two parts and there is a science that determines what rate you get from the bank. The first part of your mortgage rate is linked to your loan program. Of the four government backed loan programs, VA mortgage rates are often the cheapest, beating conventional mortgage rates by as much as 40 basis points (0.40%), followed closely by USDA mortgage rates. Next comes FHA mortgage rates, followed by conventional rates. FHA mortgage rates tend to beat conventional mortgage rates by 15 basis points (0.15%) or so, and this may look like a better deal, but price gains made on a FHA mortgage rate can be quickly gobbled up by the cost of FHA mortgage insurance. Your lender can help you compare the relative value of a FHA loan as compared to a conventional one. Now, once you have selected your loan type and have been assigned a base mortgage rate, it is up to you whether you want to accept it. If you want a lower mortgage rate, you can chose to pay additional closing costs. If you want a fewer closing costs, you can chose to accept a higher mortgage rate. In this way, you can do a zero closing cost mortgage. As the home buyer, you ask your lender to reduce your loan closing costs and your lender obliges in exchange for a slight increase to your mortgage rate. In general, for loan sizes of $250,000 or more, you can get a zero closing cost mortgage in exchange for a mortgage rate increase of 25 basis points (0.25%). As the mortgage borrower, the term of your loan is also up to you. A loan term is the number of years until the loan must be paid in full. The most common loan term for mortgage loans is 30 years. However, there are other options, too, including a 10 year term, a 15 year term, a 20 year term, and a 25 year term. The benefits of a shorter term loan is that your mortgage rate is typically lower, plus your loan gets paid off sooner. These factors reduce the long term interest costs of owning a home so, with a shorter term loan, it actually costs less to buy the home you are buying. However, there are reasons to choose a longer term loan, too. Namely, because mortgage repayment gets spread over a larger number of years, each payment is smaller as compared to the payment with a shorter term loan. The payment on a 30 year mortgage can be one-third less than the payment for a comparable 15 year term. Your monthly mortgage payment is a function of these three things; the amount of money you have borrowed, your mortgage interest rate, and your loan term. For borrowers using a fixed rate mortgage you should note that the payments will remain unchanged so long as the loan is in effect. This is because fixed rate mortgages are mortgage loans for which the interest rate does not change, even if market mortgage rates move higher or lower in the future. Indeed, this is part of the appeal of a fixed rate loan, you know exactly what your payment will be each month, which make it simpler to budget for home ownership. The opposite of a fixed rate mortgage is an adjustable rate mortgage (ARM). With an adjustable rate mortgage, your mortgage rate and your mortgage payment, is subject to change. With an adjustable rate mortgage, your loan’s interest rate remains unchanged for several years, and then it can vary during the remaining term of the loan. The most common teaser periods for adjustable rate loans are 5 years and 7 years. After this period ends, ARM mortgage rates can change up to once per year. (ARMs) can adjust higher, but they can also adjust lower, too. Downward adjustments are common during periods of economic weakness and uncertain growth. Since 2003, home buyers with (ARMs) have routinely beat the market.